A REALTOR® can be your most valued asset in the home buying process. Well, think about it for a second. You will be calling many listing agents, the listing agents work for the sellers, unless you agree to enter into a dual agency relationship. You should choose a REALTOR® to represent you as a buyer’s agent and go to work for you every day. A buyer’s agent will search for listings and provide you with a wealth of knowledge, experience and advice. Sure, that sounds simple! But the unfortunate thing with searching for homes on the Internet is that most real estate websites may not contain the latest listings. Websites such as Realtor.com pull information from the local MLS (Multiple Listing Service) and those listings can appear to be “available” until they actually close. A home can show as available even though it could be well into the contract process! Also, many sites can be about a week behind current listings. So a new listing could come up, but might not show on that website until the following week. Some buyers may also think “driving around looking for listing” is the way to search for homes. A buyer would then call the listing agent or office to inquire about the house they are interested in. This may work, but for sale signs remain in front of a home until the day it closes! Many REALTORS® do not put up “under contract” signs, leaving the for sale sign on the lawn without the particulars will make the phone ring with possible potential buyers! A REALTOR® can talk to you about exactly what you are looking for and plug those criteria into the MLS and search for homes. The MLS has the most up to date information. MLS is the most powerful tool REALTORS® use to share their listings! Another reason to work with a REALTOR® is that they have the tools, knowledge and experience to help you find a home, negotiate favorable terms and conditions for you, guide you through the process and help you get to the closing table! A good REALTOR® will work with you step by step. For example – assist you in scheduling inspections, find an attorney, work with the seller’s agent, etc. 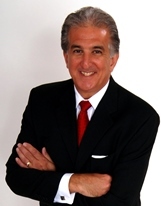 So….why work with “Joe D & CO” of RE/MAX IN TOWN? At RE/MAX IN TOWN, “Joe D. & Co” will provide you with top notch service and expertise. When you work with “Joe D and Co”, you have a REALTOR® that will go to bat for you – every step of the way! By the way, as a buyer, you do not pay a commission!